A year back there was constant talk about the move from an Analog to Digital TV over the air broadcast.I like many others with cable didn’t care because we already had cable. But, a month ago I realized I didn’t watch much except the major networks and decided to look into buying a Tuner Analog to Digital Converter for my TV. All I can say is wow! I never thought the picture would be nice, but I think it is better. I still get ABC, NBC, FOX, CBS, CW and numerous public broadcasting channels, with the Digital TV Tuner. Also I only needed to buy an antenna for my digital TV. My regular analog TV, obviously needed the Analog to Digital TV Tuner and the antenna. 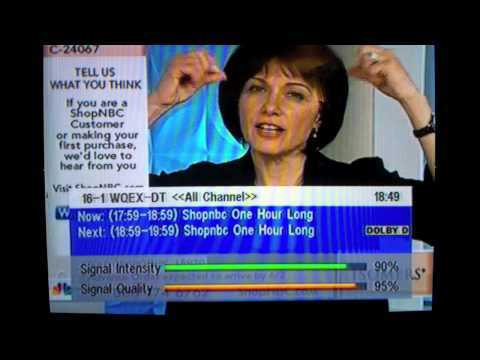 I reviewed all of the Digital TV Converter Boxes and Digit Antennas and I’m very satisfied with my purchase’s. Here is what you need based on whether you have a Analog or Digital TV. If you have a Digital TV all you need is a Digital Antenna. 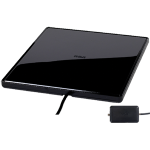 I choose the RCA ANT1650 Flat Digital Amplified Indoor TV Antenna , after reading tons of reviews. It is programmed and designed and to receive signals from 360 degrees. You will never need to make manual adjustments to tune in any channels. 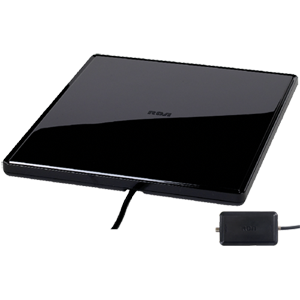 The RCA ANT1650 Digital TV Antenna supports 1080 resolution reception. It can be conveniently hung, laid flat or stood up. Its design measures at just 1.7 inches by 8.9 inches by 2.6 inches and weighs only 2 ½ pounds. Here is a link to the owner’s manual for the RCA ANT1650, so you can see how easy it is to hook up. If you want to see live digital tv on your analog tv, you need both a Digital Antenna and a Digital TV Converter Box. I again have reviewed many of these digital converter boxes and I love the Zinwell ZAT-970A Digital to Analog TV Converter Box . Of all the converter boxes I have reviewed it is one of the only ones that constantly provides good reception. The video I recorded above was recorded in part during a thunder storm and as you can see there is little to no static on screen. 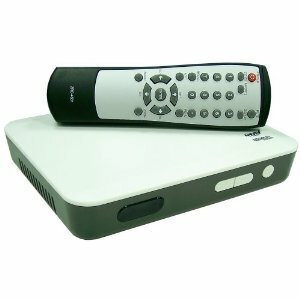 Here is a link to the Zinwell ZAT-970A converter box User’s Manual, so you can see how easy it is to set up and use. ABC: Provide between 5 to 6 episodes, from all their current shows. CBS: Sometimes provides entire seasons and other times, just the last episode. CBS also provides access to many older shows like Dynasty, Star Trek, 90210, Twin Peaks and The Twilight Zone. NBC: Through their site at NBC.com and on Hulu, NBC provides normally the last 5 to 7 episodes of all their current shows. They also have a bunch of older shows available like Knight Rider, The A Team, Magnum P.I. and Miami Vice. FOX: Provides the last 5 episodes for all their current shows. CW: Provides the last 4 to 5 episodes for all their current shows. USA: Provides 1 or 2 episodes for their 5 or 6 original series. The syndicated shows they broadcast on cable are not available on their site. MTV: Provides just some clips from a couple of their current, old shows and music video’s. CNN: Provides tons of clips from all of their shows and specials. Cartoon Network: Provides full episodes for a select number of their shows and some clips also. ESPN: Provides random clips and headlines from their shows. FX: Only provides clips for some of their original programs. not much here. 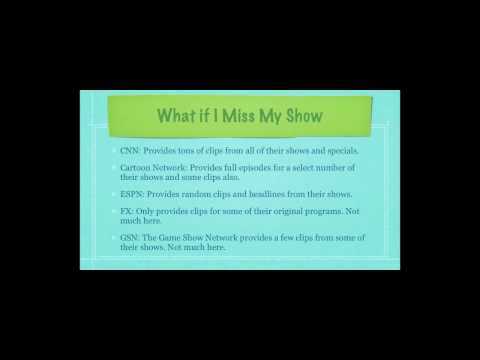 GSN: The Game Show Network provides a few clips from some of their shows. Not much here. Most of the other networks provide little to no content. All of the new sites such as FOX News, MSNBC, CNBC, etc. provide almost the same content as CNN. Netflix is a pay to view service that both provides online viewing and video’s through the mail, which I’m sure your aware of. I used to get Netflix, but I thought the video selection available online was too limiting. Also because I used to write movie reviews, I’ve seen 1000’s of movies, so I wasn’t to excited by the movies available. There are many other video sites like YouTube, but I personally think YouTube is the best. Plus YouTube also has many old shows available, music video’s and current shows that people post against YouTube rules. I Heard Every Movie and Show is Available for Free Online? Yes, pretty much every television show and movie is available online. I leave it to you whether you want to pirate or steal other people’s content. MegaVideo is probably the most popular site for finding pirated content online. There are many other sites that don’t host but instead provide links to tons of movies and tv shows. Probably the biggest site is Surf the Channel. Finally there are free software packages that will search for pirated content from all over the web. The most popular at this time is a tool called Vuze. It searches the content of many file sharing systems (Torrents) for whatever you ask for. It also has a built in video player. I hope this article saves you a ton of money! With cable costs going through the roof, it’s nice to know there is an alternative. If you have any questions leave them below. This is a very helpful post especially to those who are planning to switch from analog to digital tv. Watching from digital tv have lots of advantages clearer images just to name a few. There will always be another site to take its place. Firstly Thanks for the help you’ve been giving me on the Java tutorials. I was taking a quick break from studying and saw this vid. I was wondering if you could give me pointers on using TV Turners in a PC. I have the WinTV HVR-1850 installed in my PC and use Windows Media Center for channels, but I’m only getting like 3 stations. What should I do? I live in the NYC area btw. You’re very welcome 🙂 I would think in NY you’d get a ton of channels, but there may be interference because of the number of people? I’m sorry, but I’m not an expert on that topic. What antenna are you using to get live broadcasts? haha yeah I hear ya…I thought so to, but I actually don’t even use an antenna per-say. I have the TV turner plugged into a PCI slot in my computer and the coaxial cable plugged directly into the TV turner’s digital slot. Do you think I also need that antenna as well? the TV turner is the WinTV HVR-1850. Yes you are going to need an antenna to get the free broadcasts. They are pretty cheap and the one I got is actually better than the HD I got with regular cable.